The Serengeti is the ultimate romantic safari destination: a magical combination of breathtaking landscapes, superb wildlife viewing and the drama of Great Migration sightings, as well as truly memorable luxury lodges and camps situated in remote reaches of the wilderness make for a very special holiday. Choosing which region to stay in the Serengeti on your romantic holiday is all about what time of year you’re travelling, as wildlife movements are seasonal and many lodges and camps are only open for certain months of the year. Every region of the park has superb upmarket lodges and camps that cater for romantic safaris – and each region has its benefits, depending on what kind of experience you’re looking for. The Central Serengeti has the biggest array of choices, with the Seronera region in particular boasting the largest concentration of places to stay. For exclusivity, stay at one of the lodges or camps in the Grumeti Game Reserve in the western Serengeti. If you really want to get off the beaten track, stay at one of the few camps in the Soit Le Motonyi region at the far east of the park, which was closed for two decades and only re-opened a few years ago. Choose to stay in a permanent lodge, which will have a wide range of facilities such as gym, swimming pools and spas, or stay in a more intimate tented permanent camp where rooms may be under canvas but feature king-sized beds, stylish antique furniture and spacious ensuite bathrooms. On the other hand, mobile tented camps are a wonderful choice if you want the feeling of really being in the wild: you can experience giant herds of wildebeest grazing just metres away from your tent. There’s no electricity or running water (although you can expect hot bucket showers) but luxury mobile camps are far from rustic: think large, beautifully decorated tents with ensuite bathrooms and outdoor seating, communal lounge and library areas and gourmet meals. Many lodges offer special romance or honeymoon packages that include activities such as bush picnics for two, couples’ massages, private sundowners and exclusive candlelit dinners in the bush or on your private deck. 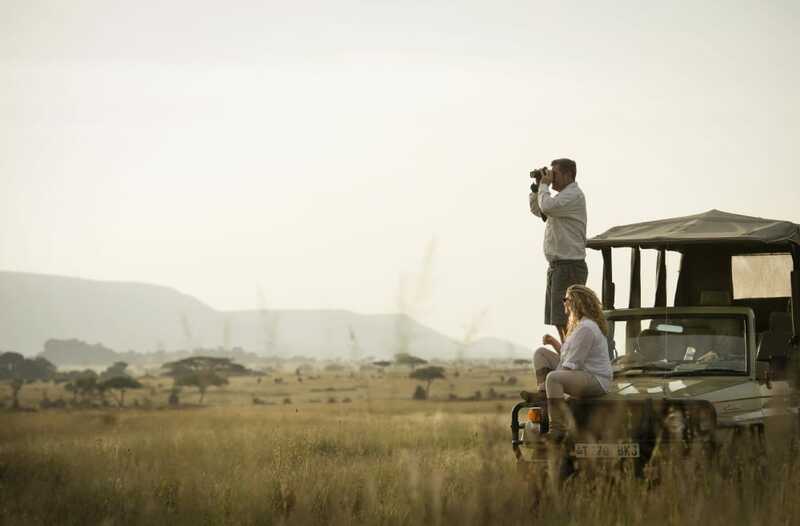 For the ultimate romantic safari, book a private safari vehicle through your lodge, so that you’ll be able to go on game drives where it’s just you, the driver and your guide.